Every once in awhile, a space takes you by surprise and sets you into an entirely fresh frame of mind—for myself, with Quince, there was an immediate transport to Europe—more directly perhaps for myself, to beautiful and endlessly inspiring England. 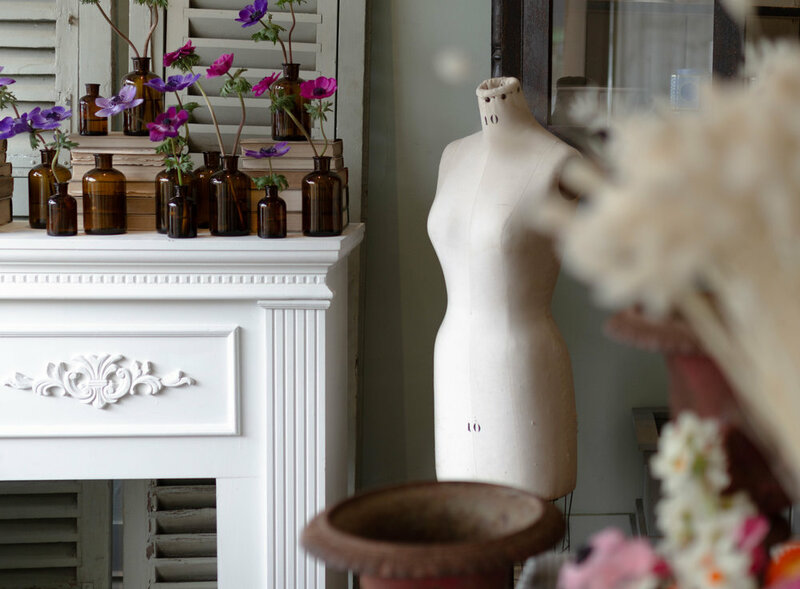 Through the charming antiquities and enchanting arrangements, special finds and buckets and buckets of blossoms, the breath of the studio is that of owner and florist, Jessica Blossom Clark. 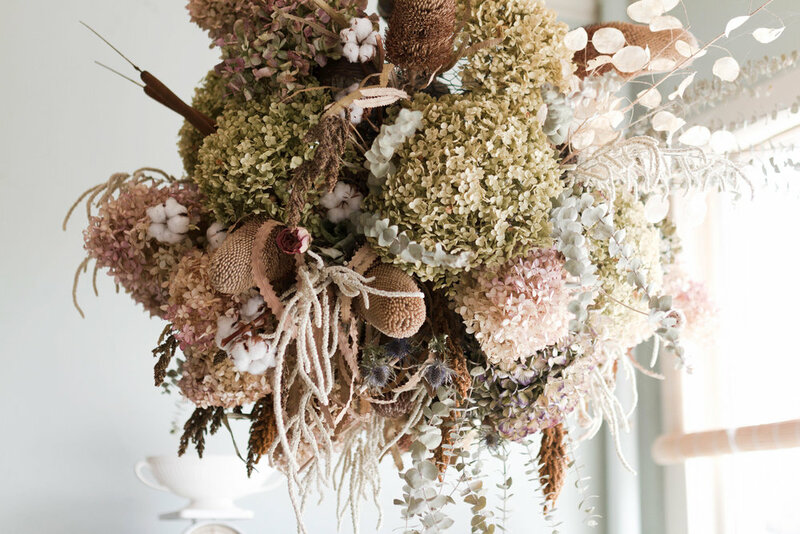 Quince Fine Florals specializes in bespoke weddings and events, with an emphasis on botanical and garden inspired designs and styling. No. 01 What lead you to the world of florals? My first foray into florals was at the age of 13, my very first job after school was working for Thomas Hobbs, at his flower shop. I started mostly with sweeping & cleaning, within three years I was working on orders and even weddings. It was this whole new world of creativity and beauty that was quite eye opening for me at such a young age. No. 02 What was your first event? One of my first & most favorite events from when I opened my shop by in 2007, was for my dear friends wedding which was held at Van Dusen Gardens. They were married on the grand lawn, and her bouquet was filled with local berry hued dahlias, accented with clusters of blackberries. We made dahlia wands bound with ribbons for all her flower girls (12 in total) whom she had instead of bridesmaids. Everything was made with so much love, plus it's always a bonus to be able to stay on for the party! No.03 Your style is very romantic, full of character and beauty. 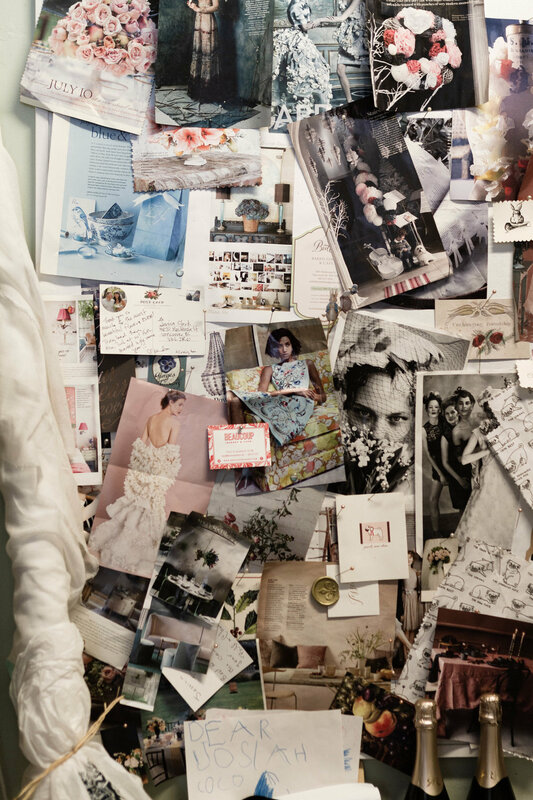 What prompted you open your lovely space? I had been working working as an actress & doing voice over work whilst waitressing at night. People knew I had always worked with flowers, and kept asking me to do their weddings. Finally I realized that this was something creative, that I loved, that could offer me stability and fulfillment. So I jumped on a plane and went to Europe for three months to find inspiration for my little shop, and returned and opened my store within a year. I knew I wanted a space with tons of light, and character. It had been a butcher shop before hand, with black ceilings, walls and floors… with new floors, and PLENTY of paint it was transformed. No. 04 What are you incredibly inspired by at the moment? Right now I'm following Forde Abbey, it's a gorgeous historic house in England which we had the pleasure of visiting last fall. The architecture is breathtaking (900 years old), and the gardens and grounds utterly gorgeous. Their feed on Instagram is filled with flowers,and gardens and the occasional appearance of an adorable pup here and there. It's inspiring me to go a little more wild with my designs, incorporate more branches & twigs in my installations and arrangements. No. 05 If you could create a single bouquet to have in your home, each day, forever, what would you do? Easy. Ranunculus, forever and ever. 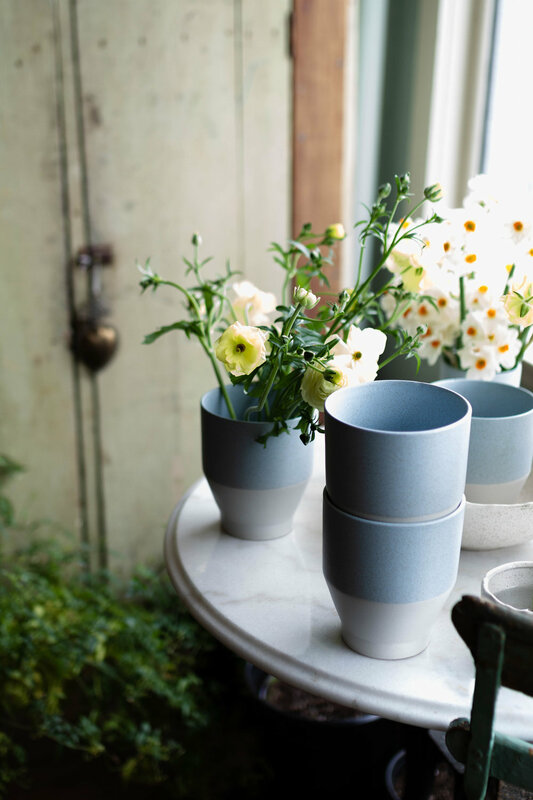 They are part of buttercup family, and when fully opened appear as miniature crinolined skirts, plus they come in a variety of colors from bright and bold, to the warmest & softest of hues. They played a big part in my own wedding, my sister carried a bouquet of all butter toned ranunculus in her bouquet as my maid of honor.